State of the State is a monthly discussion with MSU researchers who provide context and evidence to inform Michigan policy debates. 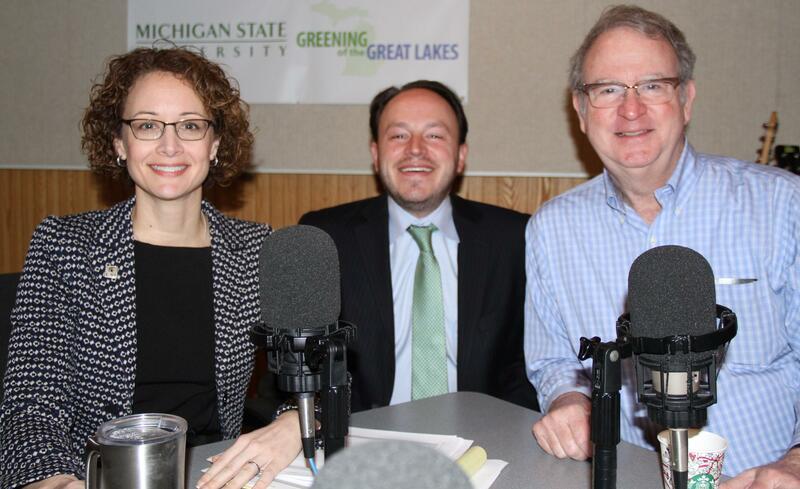 Grossmann, political scientist and Director of the Institute for Public Policy and Social Research and co-host Ballard, economist and Director of the State of the State Survey welcome MSU College of Law Vice Dean and Professor of Law Kristi Bowman to this month’s discussion. Bowman explains how the latest round of education rights litigation focuses on the “right to literacy” in federal court in Michigan. The trio discusses the state of k-12 education finance and policy and talk about where it may be headed. On each episode of State of the State, Grossmann and Ballard explore hot topics, pointing to research on each policy issue. The topics on this episode are k-12 education finance and policy. On the State of the State podcasts, they aim to promote historical and national context for Michigan issues and apply research to the state’s top problems. They aren’t necessarily your best source for day-to-day legislative politics, who’s winning and losing, and political strategy advice. They provide researchers’ views of how policy differs across states, how Michigan is positioned nationally, and the influence of policy on economic and social outcomes.